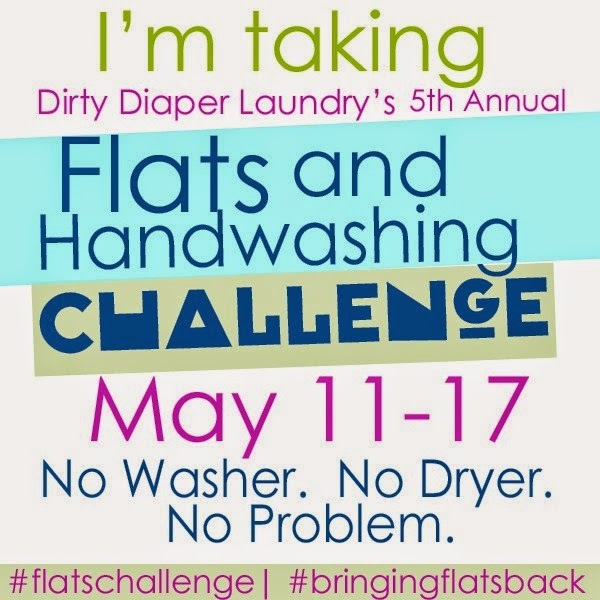 whatever it was I completely skipped posting yesterday about this year's Flats & Handwashing Challenge. So why with a crazy schedule and more on my plate than I can handle did I decide to to this challenge again?? Well honestly because I enjoy a challenge. Also because I truly believe ANYONE can cloth diaper their baby for under $125 from birth to potty training. Now I know that sounds crazy to lots of folks. 1. Who uses cloth diapers anymore? 2. Who wants all that extra work? and 3. Where do you even purchase them at?? Our stack of covers from last year, flannel flats (including receiving blankets) and flour sack towels. I have bought the majority of my flat stash covers and accessories from Cottonbabies not because they give me great discounts or even that they know who I am but it's what I started with and it worked well for me. I have also used ProWraps when the boys were newborns and loved them. They are cheap as well. Recently I have became a huge fan of Nicki's Diapers. I can order 2 covers and a dozen flats for less than $45 (including shipping)! Drop back by my little spot on the web later this week to learn how to make your own flats and covers for an even cheaper option!